Maybe I was foolish but I was hoping they'd update their master plan to be a bit more 21st century multimodal and walkable. However, it looks like another development that will direct a bunch of traffic to a few clogged arterial roads. Forget about walking to the corner store! Forget about walking to the corner store! You still can. Just wear some armor as you dodge traffic flying by at 55 MPH. +10,000 residential units and 1.7 million square feet of new commercial space over a 10 year buildout. Imagine what downtown and the urban core would like like with that type of growth rate! The trend for years has been that, especially if you have money, the corner store is coming to your front door. Amazon has 1 hour delivery in some areas, 2 hr for groceries in a bunch of others. You don't need to bother with the drive thru thanks to delivery services like Uber Eats. Wayfair will deliver a new sofa to your door within days. Dominoes has already delivered pizzas using drones. The corner store is coming to your front door. What a waste, how much is to much suburban sprawl. Time to organize and prevent this from ever being built. Unfortunately, it's not reflected in the master site plan. If anything, the layout looks like a throwback to the 1990s. the zoning was approved before the great recession. Immaterial to me, organizing to prevent building can involve multiple methodologies regardless of zoning. You can't exactly prevent building when it's already under construction, to the point of the first home closures expected within 3 months. St Johns County is going to look like Duval in a matter of years. More cheap housing being built to over crowd the area and ruin the rural atmosphere. Not to mention destroying animal habitats. The schools are nice now but will slowly develop but city issues in time. Nothing but a bunch of greedy developers destroying our way of life. I remember posting a suggestion somewhere about improving the bus system and everyone went up in arms, similarly to that. The people who already live here don't want any development, and the people who would be moving into those houses want exactly what's being built. It's a good thing for most St. Johns County residents (and, more importantly, the government) that their predecessors did not share that "I'm here, now shut the door." attitude. This comment made my day. “St Johns County is going to look like Duval in a matter of years?” Maybe if they invent a time machine and start importing an urban core and several decades worth of neighborhoods built in a wide variety of architectural styles.” A “rural atmosphere?” They must have that time machine, as they’re writing from 1985. “A bunch of greedy developers destroying our way of life?” Unless they live in downtown St. Augustine or one of the dwindling number of farms, who do they think built the development they live in currently? 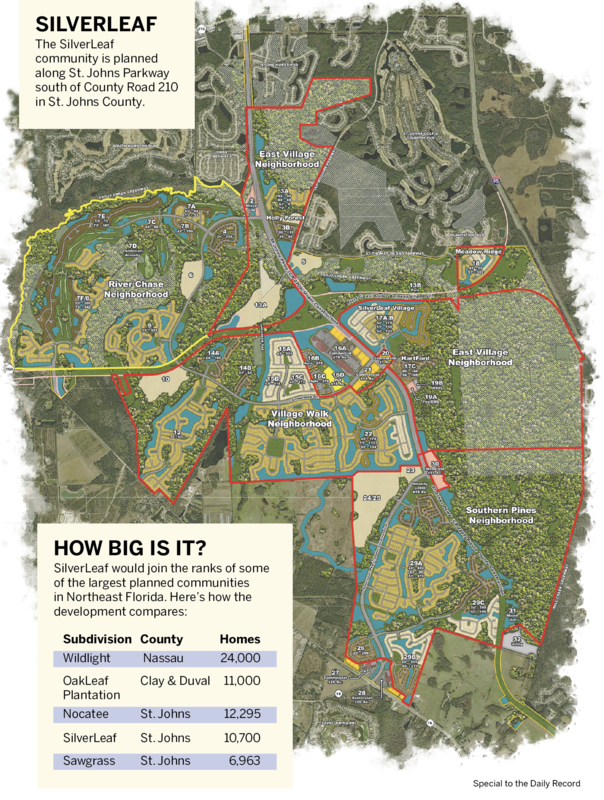 The reality is that St. Johns County will continue looking like every other cheaply built, sprawling bedroom suburb in the country until it naturally ages and the pattern of white flight shifts to Nassau County, at which point it’ll look like Orange Park. This is type of suburban sprawl is happening everywhere in Florida. Orlando, Tampa, the Panhandle, the East Coast, Sarasota, you name it. Until the economics of land development, that is, until the price of adjacent undeveloped land is more expensive than infill, redevelopment, we wont see anything different. People will continue to move to Florida for jobs, sun, and no state income. Our tax revenues are mostly based on property taxes, so every city and county in Florida needs sprawl to continue to grow. It's not greedy developers people. It's the economics of it. Get used to it. I do agree that more opportunities for trails, biking, running, health, etc. should be encouraged given the space. Those details wouldnt be seen on a Conceptual Site Plan at this scale.